As many of us celebrate winter holidays and festivals in the next few weeks, we’ll probably be cooking traditional meals to mark the occasion. Wherever we live in the world, our agriculture, food, family celebrations and our culture are what binds us to our countries. Within the African continent, there’s a huge diversity of food culture, often drawn from the kinds of fruits, vegetables and cereals that grow well in the region. We asked our Africa team, who are based in Johannesburg, South Africa, but are made up of many African nationalities, to share their favourite foods. 1. 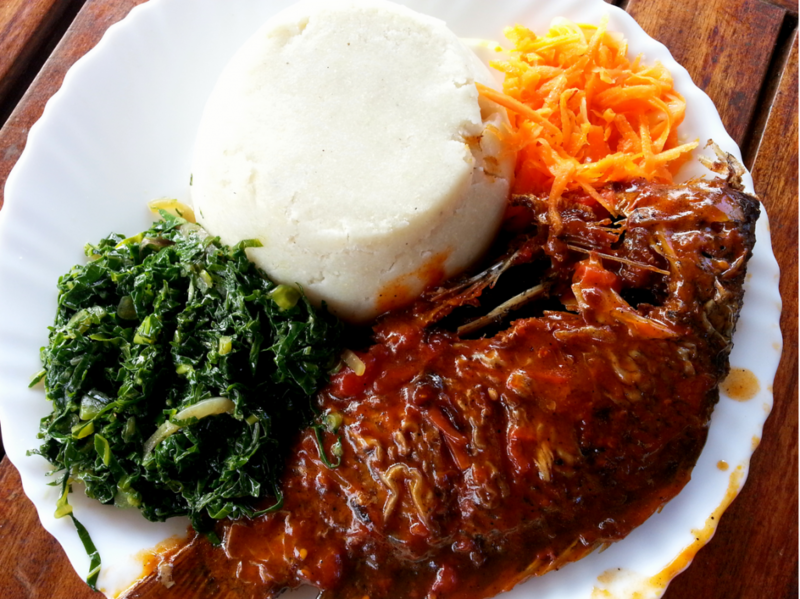 Ugali na nyama choma (East African): “nyama choma,” which translates as “roast meat.” Kenyans love nyama choma, and it is the preferred means of celebrating birthdays, weddings and visiting guests – a proper barbecue get together. 2. 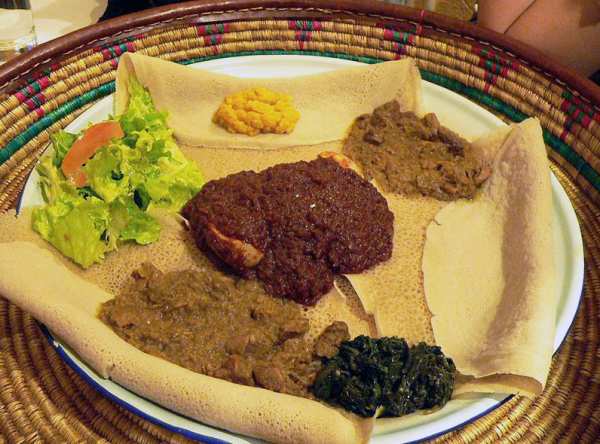 Injera and tibs (Ethiopian): This is a classic food combination, like rice and peas or fish and chips! Injera is a bit like a large pancake made from the cereal teff and food is simply heaped on top of it! 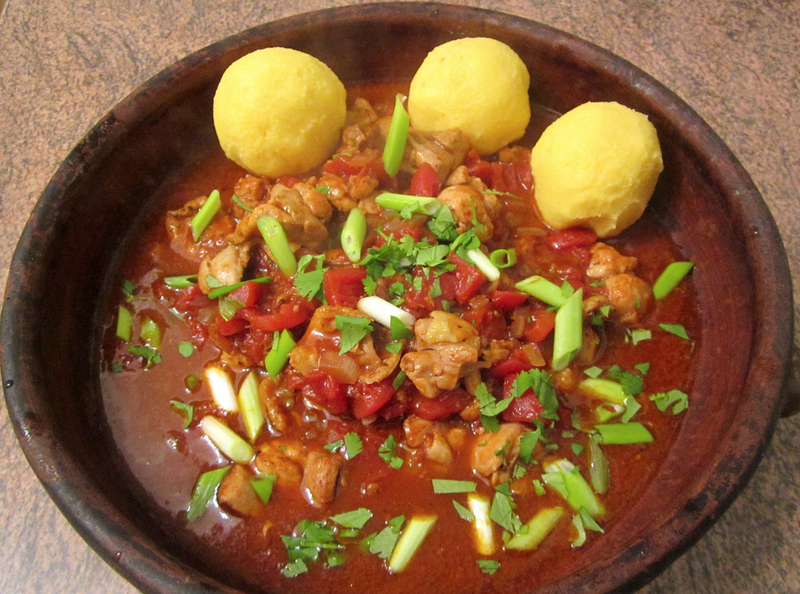 You use the Inerja to pick up all the yummy mixes, such as tibs, which is popular dish made using various meats. 3. Sadza nema veggie ane nyama (Zimbabwe): This is a two part recipe with sadza on one side and the accompanying stew on the other! 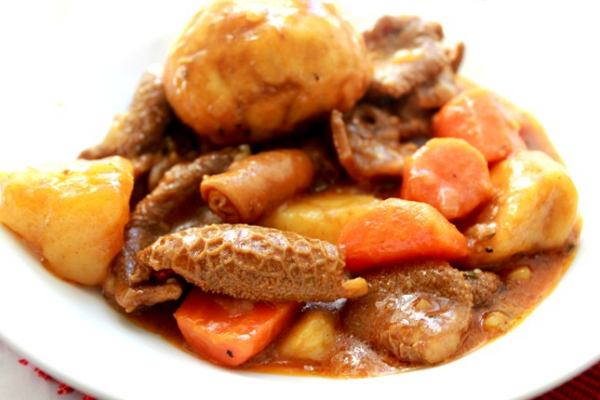 Sadza or sadza re chibage is an African version of thick corn porridge produced from corn meal, mielie or maize meal and water so Sadza ne Nyama Ye Huku refers simply to Zimbabwean thick corn porridge with chicken or another meat stew. 4. 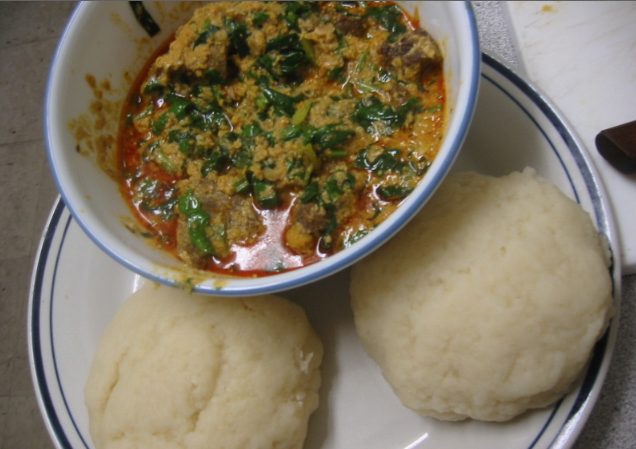 Pounded yam and egusi (Nigeria): Egusi with pounded yam is a very popular dish in Nigeria and has became popular in many other parts of the world. 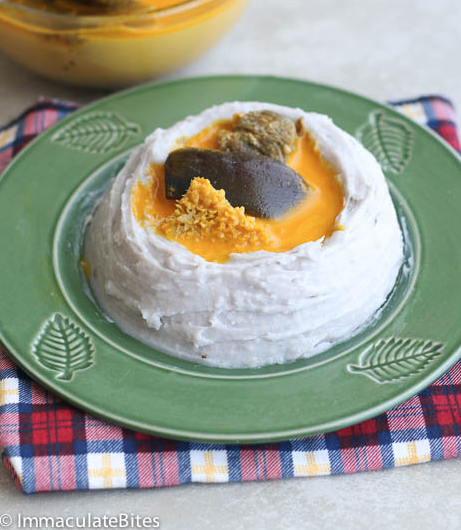 It is thickened with ground melon seeds and contains leaf vegetables, other vegetables, seasonings, and meat and is often eaten with dishes like amala or pounded yam! 5. 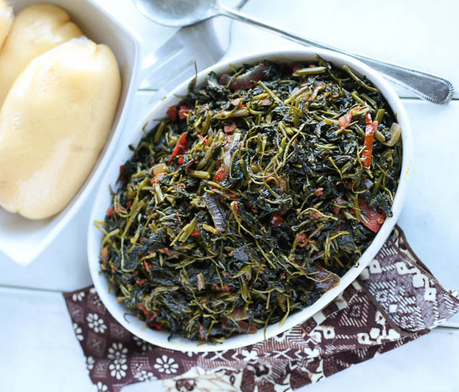 Fufu and njama njama (Cameroon): This exotic African stir fry is usually paired with fufu corn (polenta) or some would refer to it as ugali! 6. Samp and Beans (South Africa): Samp and Beans is a traditional dish of the Nguni people of South Africa. 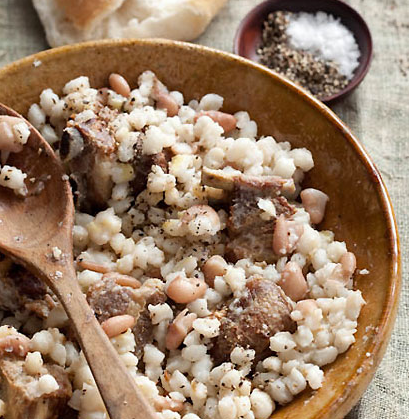 Referred to as isistambu by the Zulu people and umngqusho by the Xhosa people – the biggest Nguni groups – the dish is made from slowly cooked sugar beans and samp (crushed corn kernels). 7. 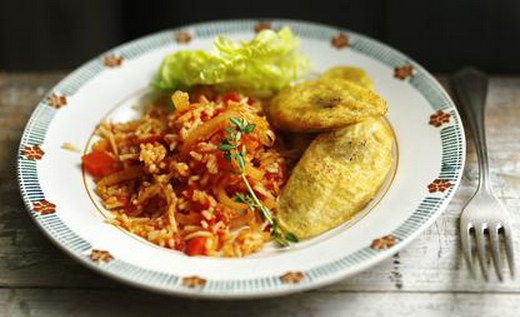 Jollof rice and plantain (Nigeria): Jollof rice is found throughout West Africa and is thought to be the origin of the Cajun dish, jambalaya! 8. Dampling and Tripe (South Africa): This is an unusual but delicious dish, mixing traditional dumplings with the often ignored part of meat, offal. Mixed with potatoes and carrots, there’s nothing quite like it! 9. Achu (Cameroon): Achu is eaten in the Western part of Cameroon and is usually eaten with yellow or green soup. It’s a staple food in the western part of Cameroon because the soil is great for growing cocoyam! 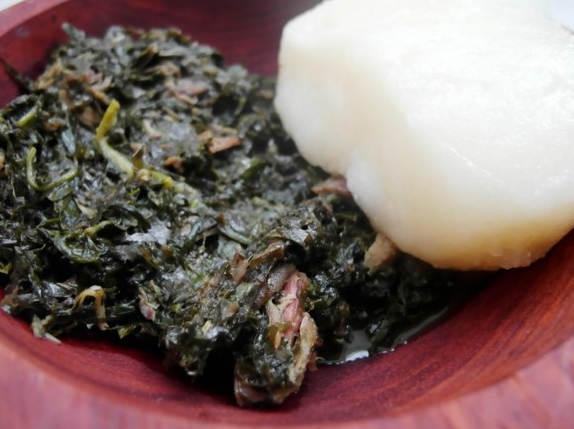 10 Waterfufu and eru (Cameroon): Water fufu and Eru” is a traditional dish popularly eaten in Cameroon and neighboring Nigeria. Due to its popularity, “waterfufu and eru” can be accurately described as a national dish! How many of these dishes have you tried? And what have we missed? !